The 2016 Summer Olympic Games are in full swing this week. There have been the usual mix of tragedy and injury, and some truly amazing performances. 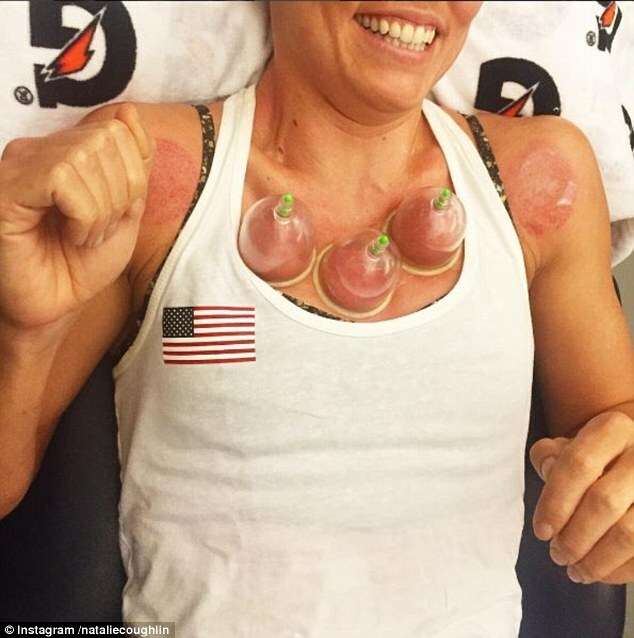 However, what I really want to address here is the interesting twist that apparently a fair number of U.S. Swimmers and Gymnasts have taken up the fad of “Cupping” to help them deal with the physical stresses and discomforts that always come when one is pushing one’s body beyond its limits. This treatment has been around for thousands of years, and, as with most Alternative Medicines, has a number of practitioners who have made some pretty amazing claims for it. As the above link indicates, while there may be some benefits to it, especially in conjunction with other treatments, there have been no truly objective and large tests to separate the reality from the “Woo”. Margo They look like giant hickeys! Michael Bruising indicates damage. I prefer gentler therapies to increase blood flow! Bonnie It’s not really bruising, Michael. It’s exteriorizing stagnant blood that has penetrated into the intermediate fascial layers where it can potentially cause inflammation and adhesions. Now, the first reaction I had to this exchange was “Hum…but, Bonnie’s explanation sounds pretty much like the definition of a bruise, with some questionable opinions about the flow of blood in the body mixed in to season the dish”. I did ask about this, but, alas, received no answer. I will not bother to go into the details here, but, to me, this is “Woo!” that has no merit beyond that of the Placebo Effect. That having been said, it also appears that it has no serious down-sides, so, if it gives our athletes the mental edge to push themselves to take a medal…good for them. I do have one concern though. That is the worry that people will leap on this as a cure for all ills, and so will flock to practitioners who are less ethical, who will take their cash, and perhaps deflect them from Western Medicine treatments that would actually do some measureable good. This entry was posted in Ethics, General, Heath, Nuttiness, Questionable decisions and tagged 2016, alternative medicine, cupping, Olympics, woo!. Bookmark the permalink.